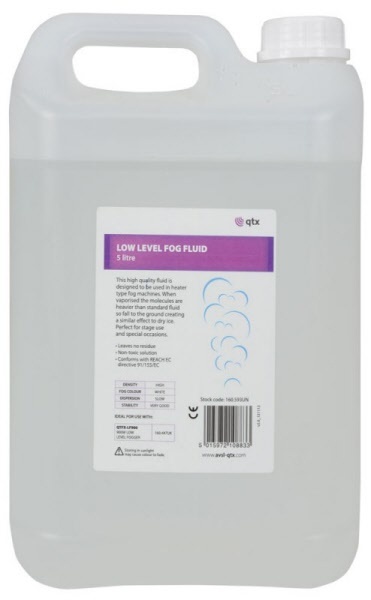 This high quality fluid is designed to be used in heater type fog machines. When vaporised the molecules are heavier than standard fluid so fall to the ground creating a similar effect to dry ice. Perfect for stage use and special occasions. Recommended for use with low level fog machines.